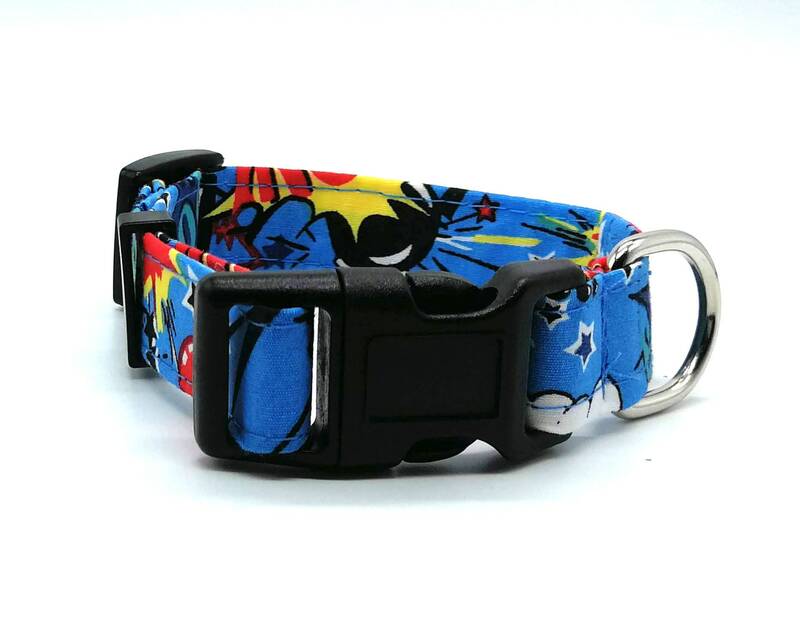 Dog collar in a blue superhero fabric design. Matching bowties available. 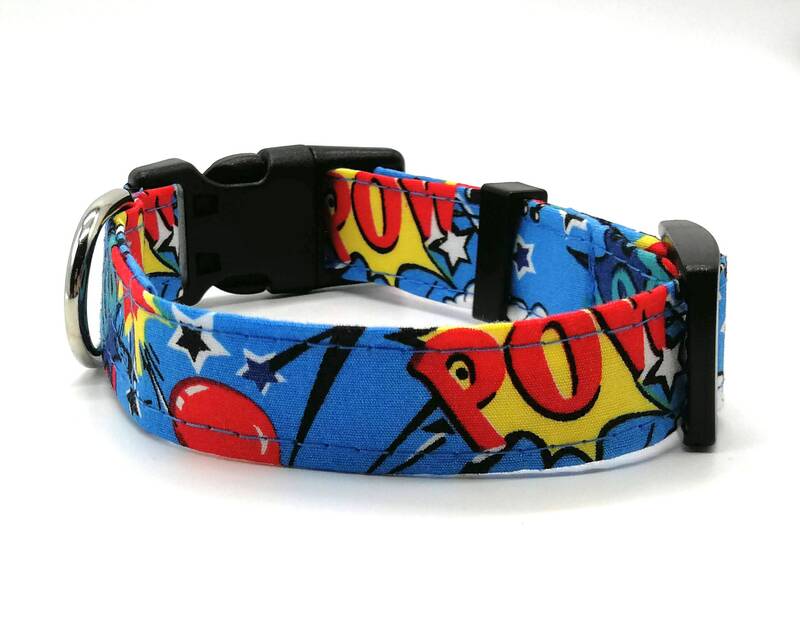 I started making cat collars for my own moggies and realized dogs need them and to be SUPER HEROES! NOTE: Large collars are 1" width, medium collars come in 1" width and small collars in 3/4" width. Please state the width in the note section when ordering. A lovely colour and true to the picture. My only small criticism would be that the ring that you attach the lead to is a little close to the fastening, so when the dog shakes it is really noisy. 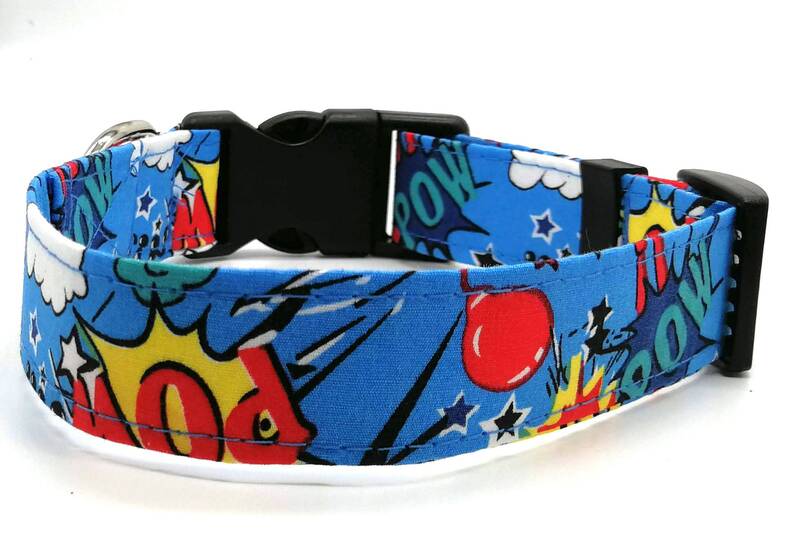 I really like the collar and would recommend it. Love it!!! Looks just like the picture! Fast postage and really lovely item, very happy- thank you!